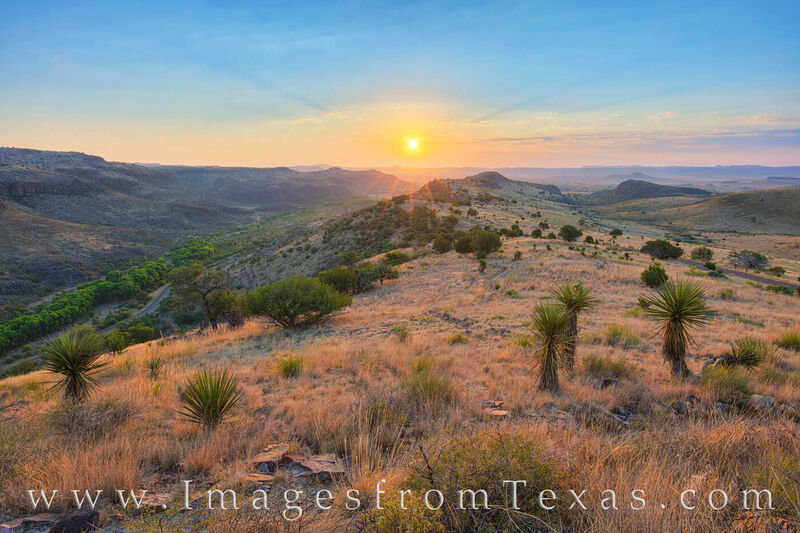 From high on the Skyline Drive Trail in Davis Mountains State Park, the summer sunrise can be beautiful and serene. Several mornings while out between 6am and 7am, I never saw another person - just the deer, javalinas, rabbits, and tarantulas! Photo © copyright by Rob Greebon.